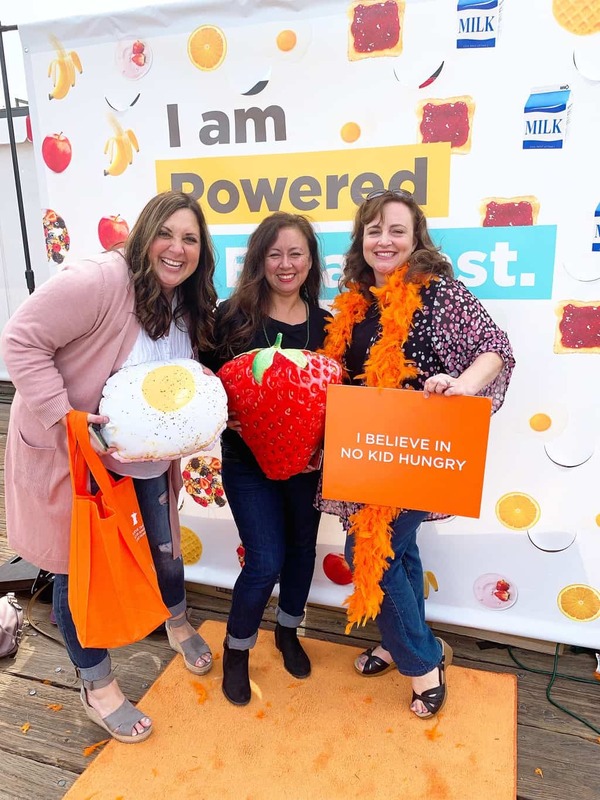 Did you know that 1 in 6 kids in America lives with hunger? That’s millions of kids that go to school everyday on an empty stomach, because there isn’t enough food at home. If that isn’t enough, research shows America’s teachers are spending an average of $300 each year from their own pockets to buy food for their students. But, as parents and teachers know, hungry kids can’t learn. The good news is that childhood hunger is a problem that we can work together to solve! 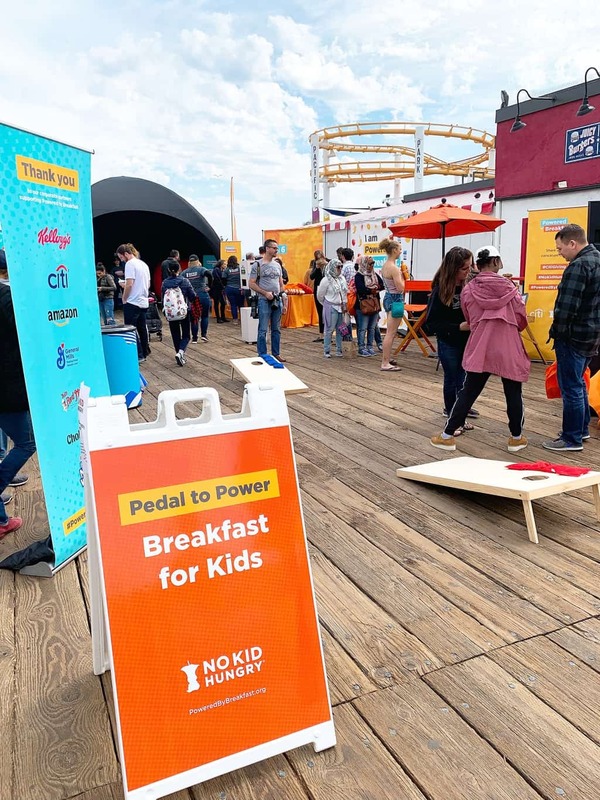 Last week, I had the opportunity to attend a fun and informative community event called Powered by Breakfast at the world-famous Santa Monica Pier hosted by No Kid Hungry. 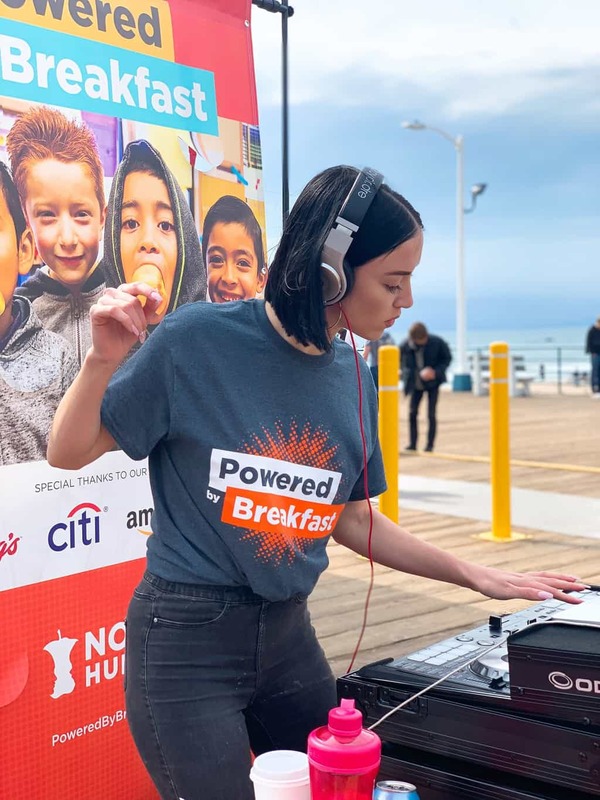 While in attendance, I played a few classic games of corn hole, listened to an impressive female DJ mix some great tunes and hopped on a stationary bike for 30 seconds to help raise funds to fight child hunger. Even the smallest of folks got involved by coloring pretty pictures and sampling delicious snacks provided by Chobani. 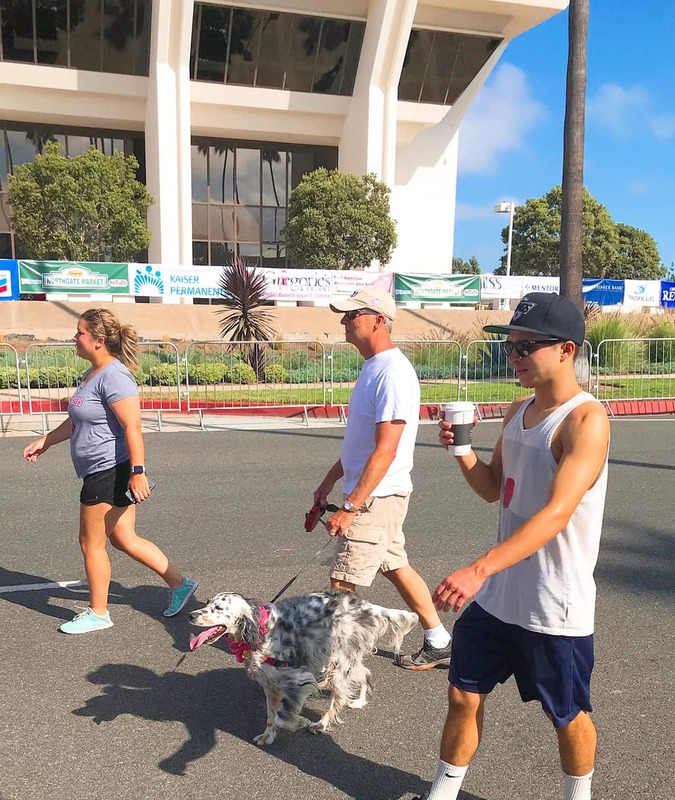 It was a warm Sunday morning in September, when I checked in for the Susan G. Komen Orange County’s Race for the Cure at Fashion Island in Newport Beach. Since I’m not an early riser, I signed up for the 9:45 am start time. After visiting the registration booth, I put on my Valpak t-shirt, pinned my personal Race For the Cure badge on my back and went to the starting line. 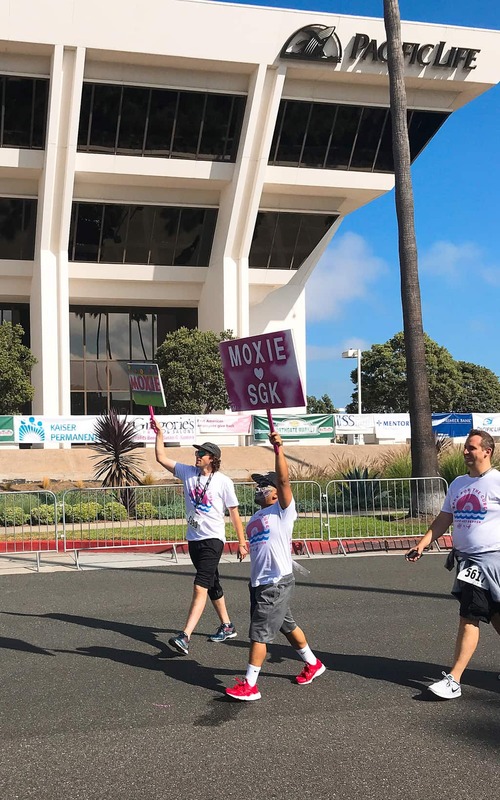 At the sound of the bell, I joined over 15,000 breast cancer survivors, supporters and volunteers from all over Orange County in the Susan G. Komen Race for the Cure. 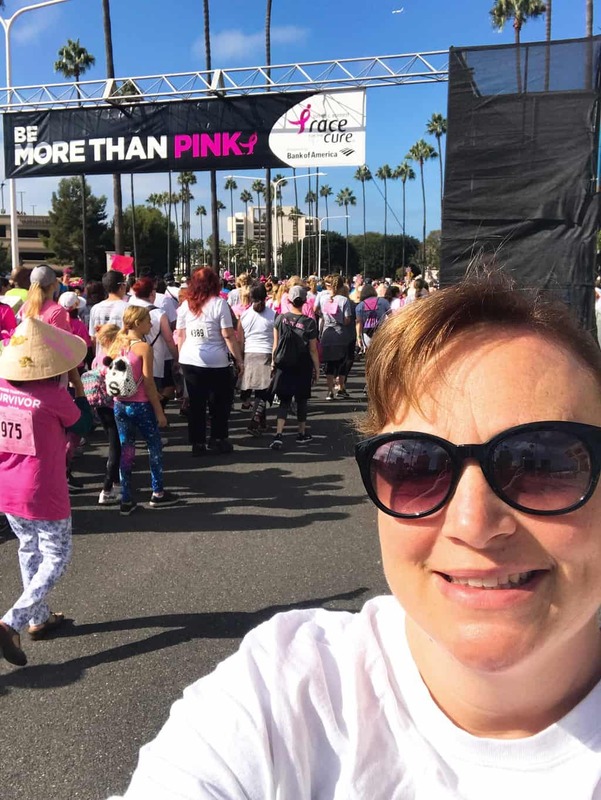 In its 27th year, this year’s Race called for supporters to “Be More Than Pink”! A day of hope, celebration and courage, the race brought the local community together to inspire hope for those fighting breast cancer, celebrate survivors and honor those who have lost their battle with the disease. I observed people of all ages, races and ethnicities walking for the cure! Even this cute Shepherd dog got in on the action! I partnered with Valvoline Instant Oil Change for this project. All opinions are my own. I have a long history of cancer in my family. Previously, I shared with you how my grandmother had breast cancer back in the early 90’s when there weren’t that many treatments options available. It was an especially difficult time to have cancer, but thankfully she overcame it. Three years ago, my aunt was not so lucky. She died from melanoma at the age of 59. 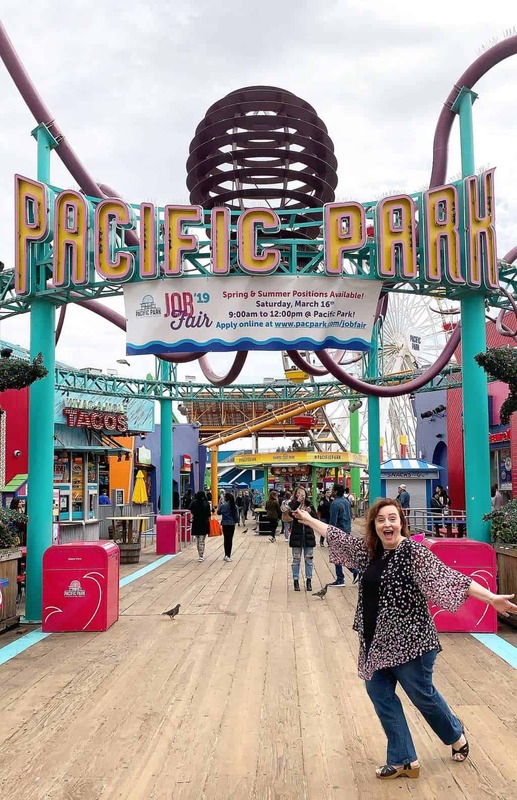 The doctors discovered that she had melanoma on her scalp, a type of skin cancer that multiples quickly if not detected early, and passed away a year later. Then in 2017, my mom was diagnosed with cancer for the third time. Thankfully, she had wonderful doctors who took her concerns seriously and acted quickly to remove the cancer. After chemo, she has been declared cancer free again. I consider my grandmother, my mom and my aunt, my heroes! 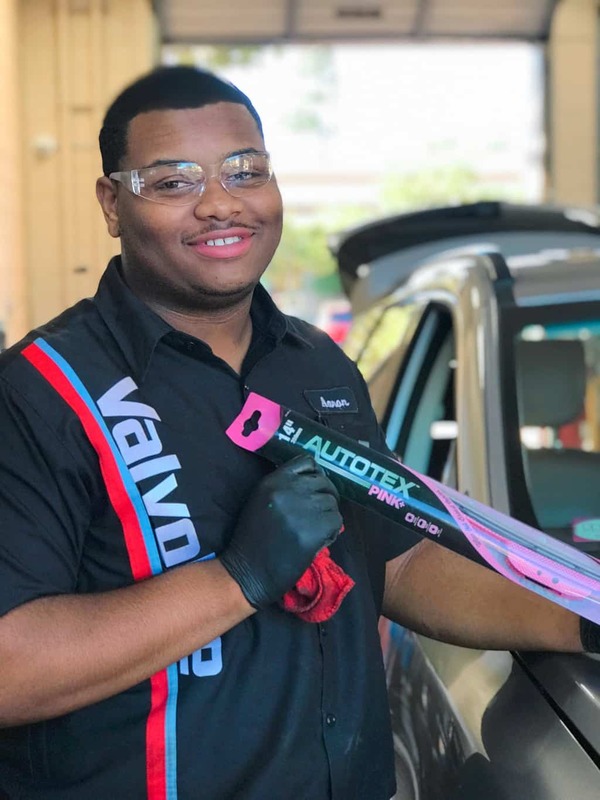 So, in support of these strong female women in my life, I went to my local Valvoline Instant Oil Change (VIOC) to get my oil changed and have a pair of AutoTex PINK Wipers installed on my vehicle. VIOC is a full service 15-minute drive thru oil change with no appointment needed. 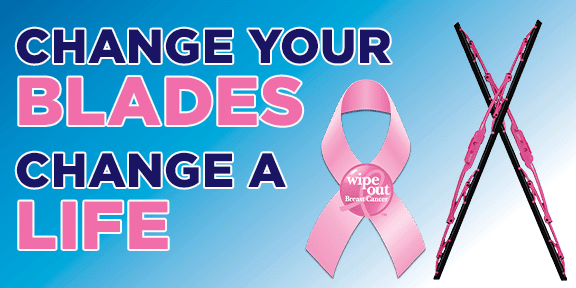 Throughout the month of October, VIOC is selling AutoTex PINK Wipers in support of Breast Cancer Awareness Month, with all proceeds going to National Breast Cancer Foundation (NBCF). During my oil change, I was able to relax and listen to the radio while the experts worked on my car. Then a friendly VIOC employee asked me to decide which type of wiper I wanted to put on my car; either full Pink Wipers or Black Wipers with a small pink ribbon. Breast cancer. Just writing the words sends chills down my spine. I don’t like it. No one does. But breast cancer is the second most common kind of cancer in women outside of skin cancer. Begrudgingly, my family has been affected by both. My maternal grandmother “kicked breast cancer to the curb” back in the early 1990s when not so many cancer treatments were available. Although chemotherapy produces side effects, including nausea, exhaustion and bone marrow toxicity, today’s chemo is definitely not as harsh on the body as in my grandmother’s day. My grandmother was in her 70s at the time of her cancer diagnosis. Back then, a woman’s fight against cancer was often fought in the shadows. There were no online support groups or Relay For Life events or numerous fundraisers to find a cure. However, my family did not let my grandmother go through her battle alone! We stood by her every step of the way. 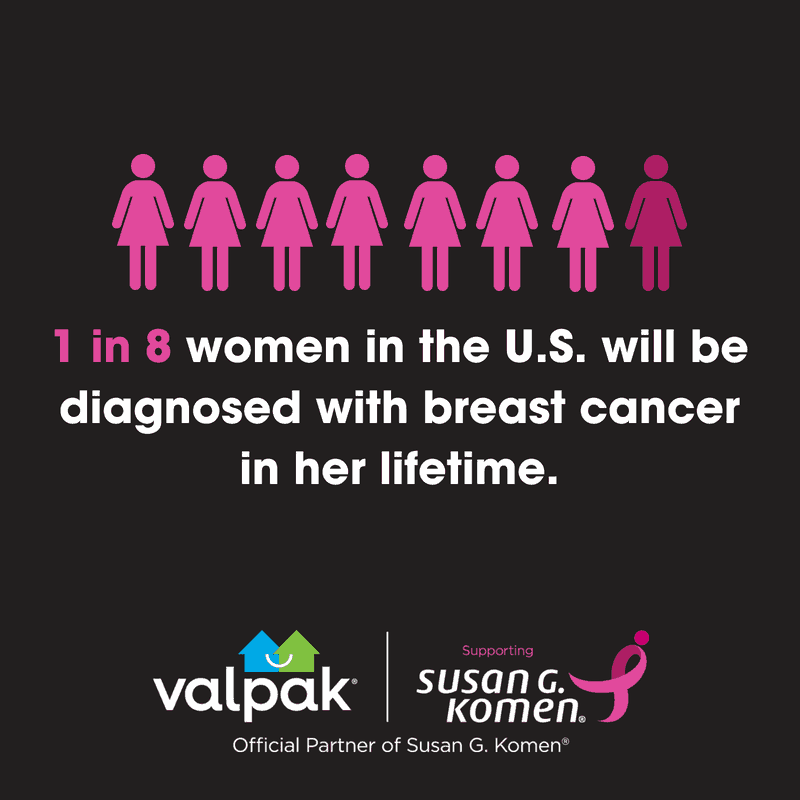 Did you know that approximately 1 in 8 women born today will get breast cancer at some point in their lives? If you have a significant other or friend going through breast cancer treatment, here are 10 ways to love and support them through it. Offer to babysit her children. 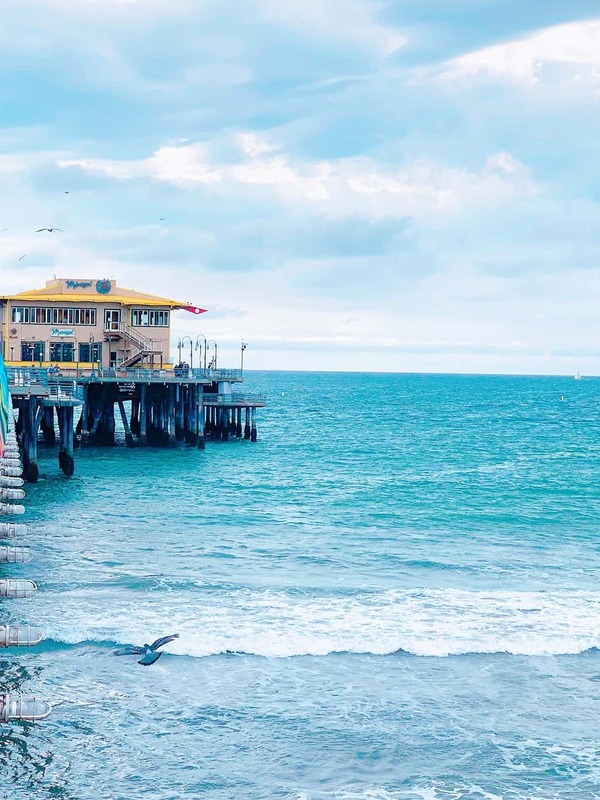 If you live far away, send her a gift card to enjoy a meal out with her family. Hire a housekeeper or offer to clean her house. Start an online meal train. Send her frequent snail mail and ecards of encouragement. Call her often to let her know you are thinking of her. Offer to do her Christmas shopping. Start an online support group and invite her closest friends and relatives to join in. Send her flowers to brighten her day. Support Breast Cancer Awareness Month in October. According to the U. S. Department of Commerce, STEM occupations are growing at a rate of 17% per year. Science, technology, engineering and mathematics workers play a key role in helping to grow the economy and compete on the world stage. STEM education creates critical thinkers, increases science literacy, and enables the next generation of innovators. Furthermore, STEM education helps to bridge the ethnic and gender gaps sometimes found in math and science fields. 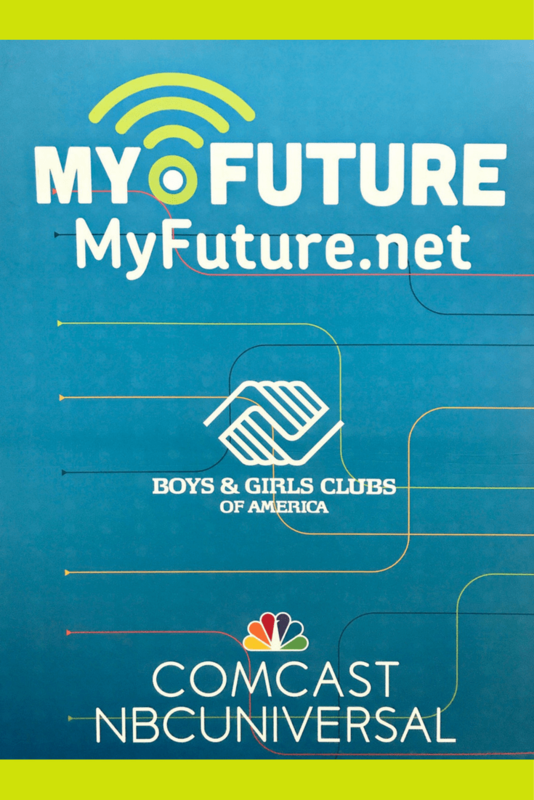 Recently, Boys & Girls Clubs of America partnered with Comcast NBC Universal to introduce a brand new social platform called My.Future for kids and teens. 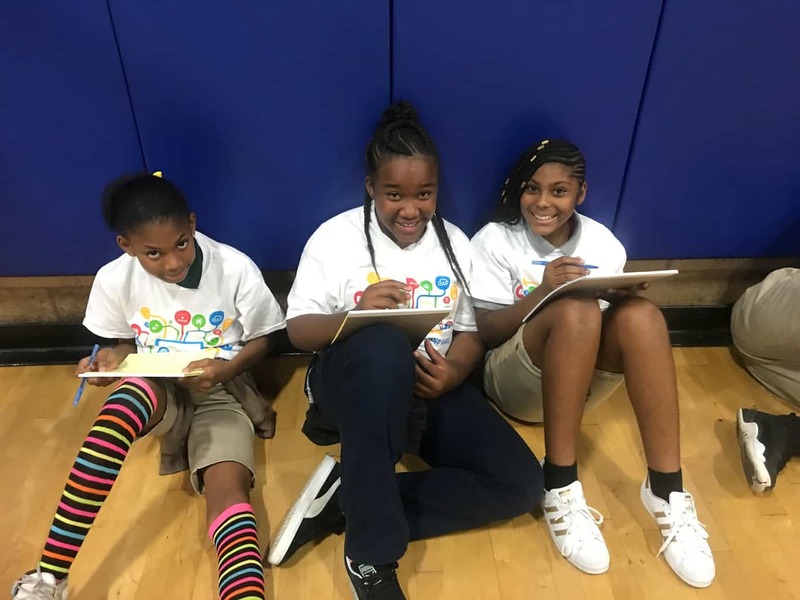 In the past, children have enjoyed spending time at their local Boys & Girls Club for the fun, fellowship and care they received from the staff. But today children want to connect and interact with their friends online. 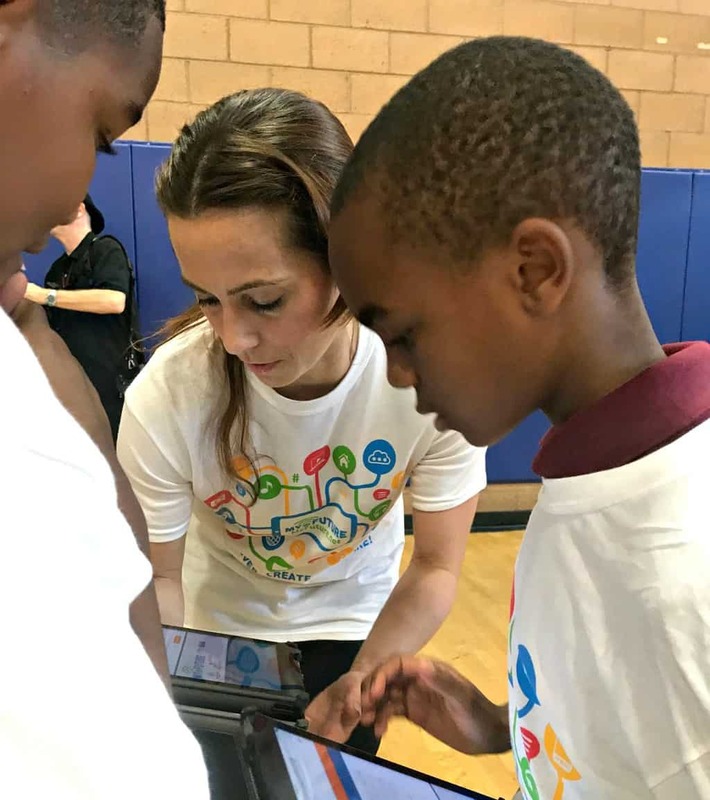 This is why BGCA has developed My.Future – a mobile app for youth to connect with their friends online and learn new skills in fun and safe environment.